You are in : Adelphi > News > Adelphi Manufacturing > There’s a Fourth Industrial Revolution – but don’t panic! “We stand on the brink of a technological revolution that will fundamentally alter the way we live, work, and relate to one another. In its scale, scope, and complexity, the transformation will be unlike anything humankind has experienced before”, writes Klaus Schwab, Founder and Executive Chairman of the World Economic Forum. “The speed of current breakthroughs has no historical precedent. When compared with previous industrial revolutions, the Fourth is evolving at an exponential rather than a linear pace. Moreover, it is disrupting almost every industry in every country. And the breadth and depth of these changes herald the transformation of entire systems of production, management, and governance”. “the Fourth Industrial Revolution has the potential to raise global income levels and improve the quality of life for populations around the world”. It will “[make] possible new products and services that increase efficiency”. “Physical products and services can now be enhanced with digital capabilities that increase their value”. “New technologies make assets more durable and resilient”. “The displacement of workers by technology [could] result in a net increase in safe and rewarding jobs”. 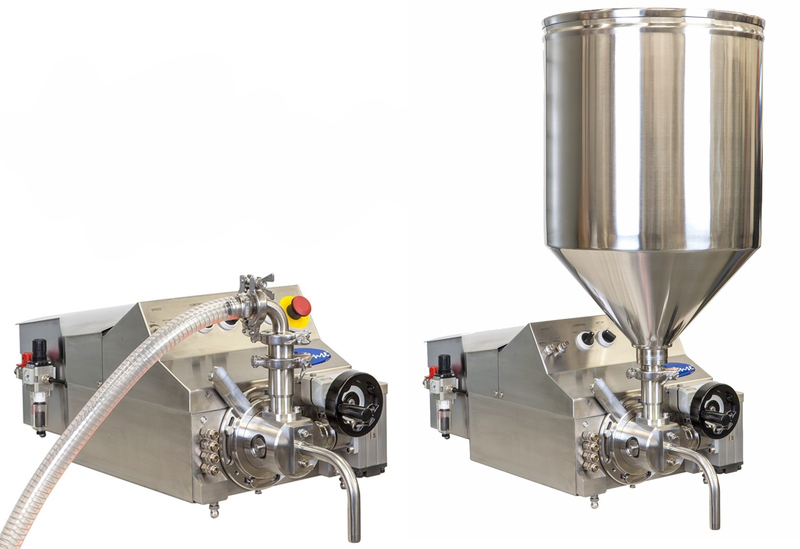 Adelphi are proud to manufacture a scalable range of process and packaging machinery, which our customers often say makes them feel safer in their investment. 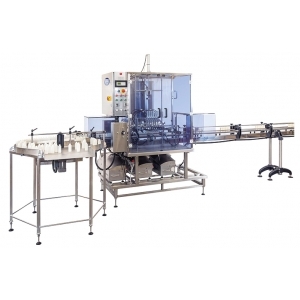 The Response benchtop filler is a semi-automatic volumetric filling machine, designed to effectively handle liquids, oils, creams, pastes and solids in suspension. 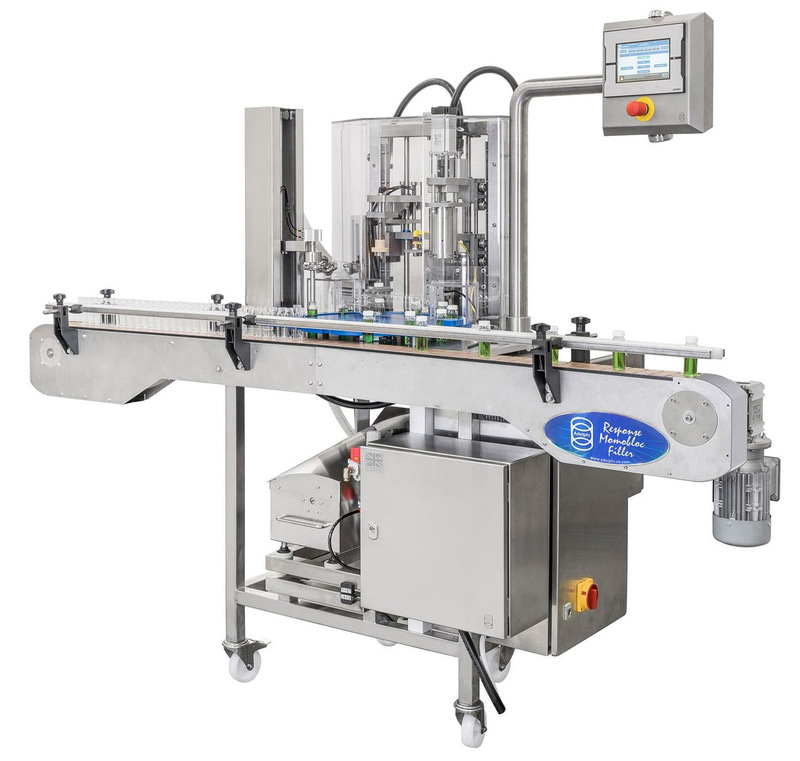 Thanks to three standard sizes of honed pump sets, fill volumes can range from 10ml to 1 litre in a single shot, with exceptional filling accuracy of ± 0.25%. 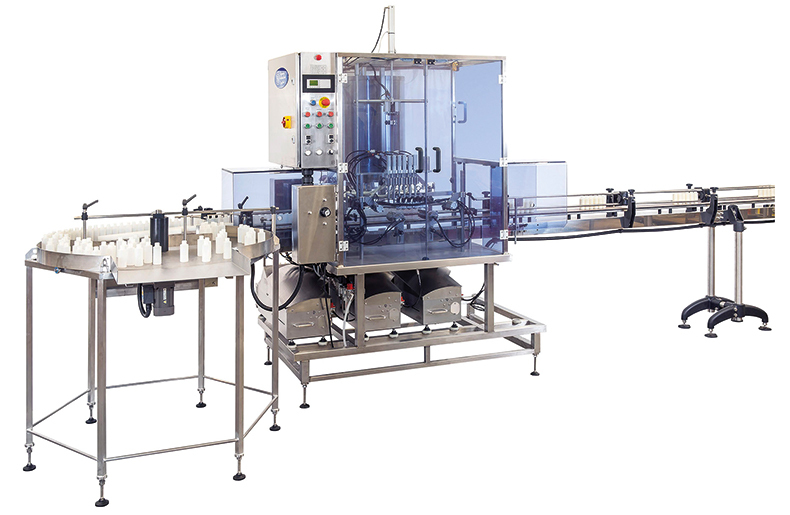 The forward and backward stroke can be varied independently to optimise filling characteristics, and can be set as single shot or continuous operation. 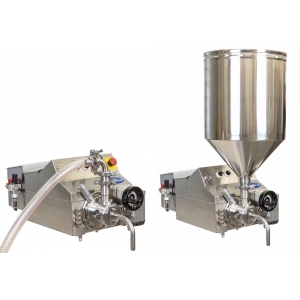 Product can be fed from a hopper, by direct feed, or from a bulk container, and we can also supply stainless steel benches and trolleys if required. 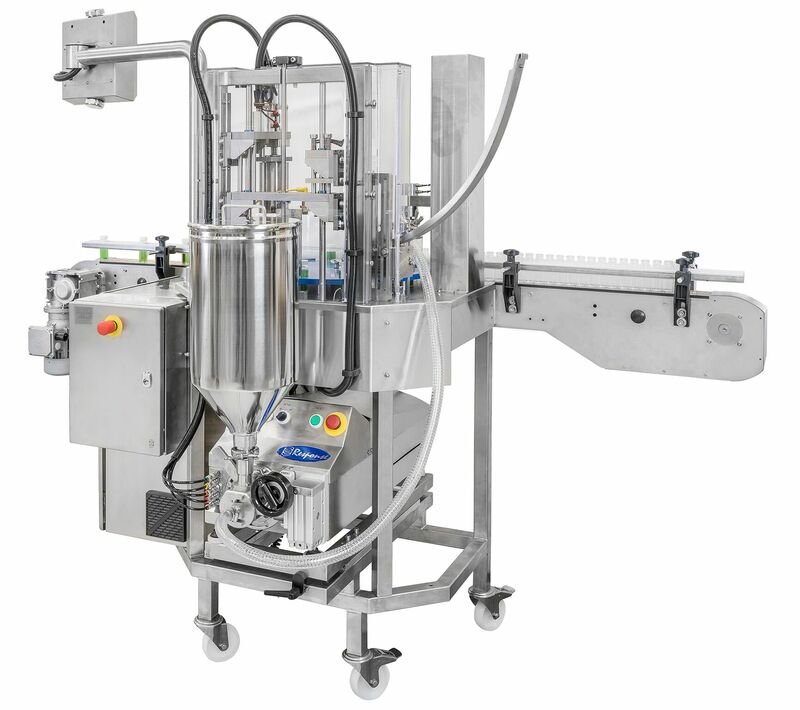 As production demands increase, businesses who have invested in the Response benchtop filler have upgrade options: the first is the Response Monobloc filler, which also incorporates elements for cap placement and cap tightening. 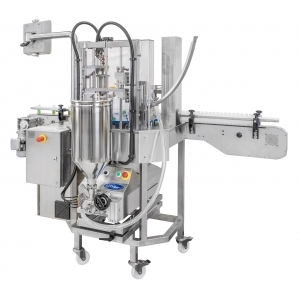 Capable of filling 3ml to 250ml containers, its space-saving design is ideal for customers slightly tighter on space, and its ten-minute strip-down time means that production downtime while cleaning is kept to a minimum. 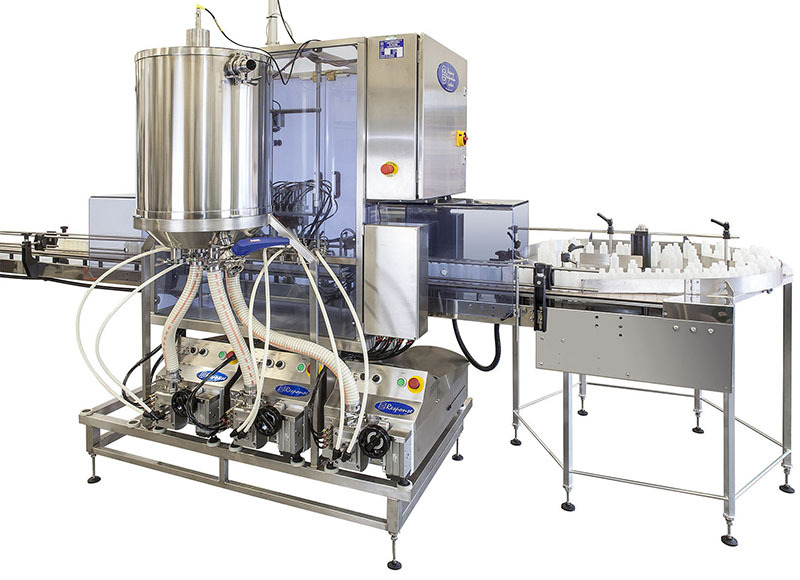 The Response benchtop filler is mounted onto the Monobloc frame (below right), meaning that the initial investment is not obsolete. 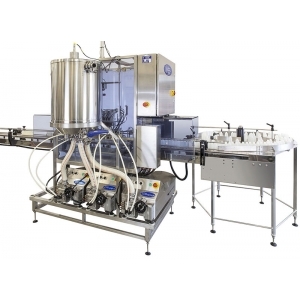 The second upgrade option is the Response Automation Base, onto which up to four benchtop fillers can be mounted (below right), to create a fully automatic filler with up to eight heads. 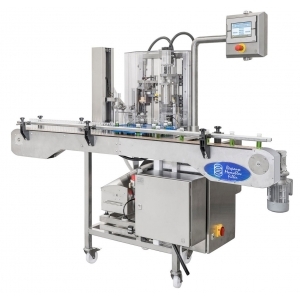 As production demands change, you can quickly and easily remove individual Response units as and when you need them elsewhere, to be used as stand-alone, semi-automatic filling machines once more. At Adelphi, we recognise that automation options can at times seem overwhelming, and we are happy to guide you through the process. Read a glowing recommendation of Sales Director Dean Willis’ “honest advice and support” from LittlePod Director Janet Sawyer, here >>> She stresses that “Dean monitored our company growth, and recommended machines accordingly, making sure we didn’t overstretch our resources”.